why browser show an empty screen when i start PHP test-script in Ubuntu 16.04? i updated Ubunto14 to Ubunto 16.04 on my testserver to get compatible with my ISP's server. phpMyAdmin runs normally although an error is displayed: Connection for controluser as defined in your configuration failed. still get empty screen, when i run above php-script. 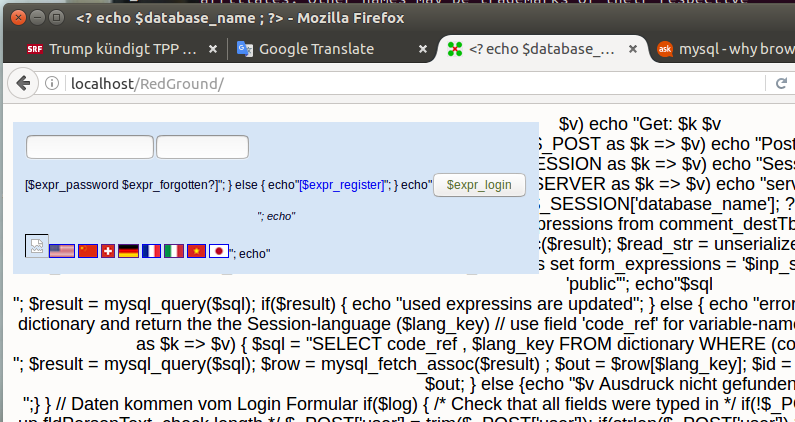 Maybe a communication-error between mysql and php? Not the answer you're looking for? Browse other questions tagged 16.04 mysql phpmyadmin php7 or ask your own question. phpMyAdmin is showing “The mysqli extension is missing. ”?